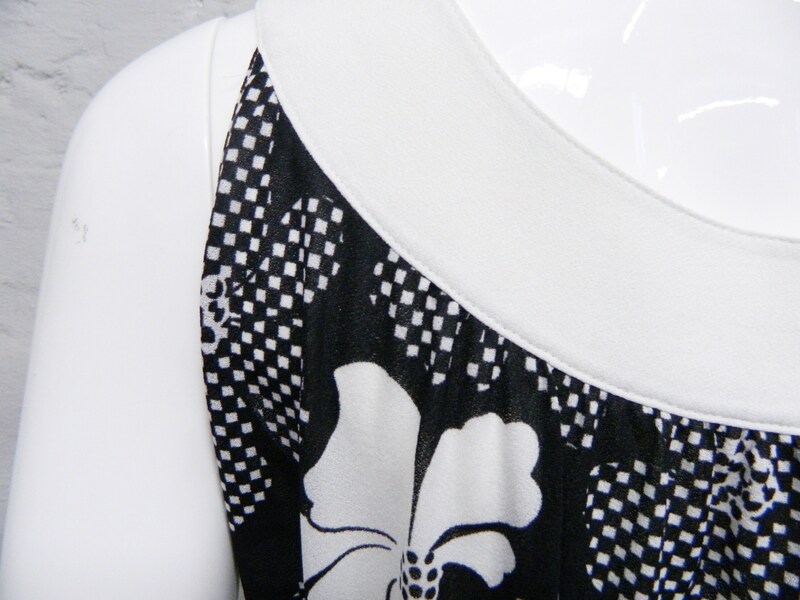 Great dress in black and white, with matching belt, top at the straps trim buttons. At the waist, the dress features a incorporated rubber. Very good condition. Waist From 36 cm to 46 cm stretchy, stretchy 14.1 "-18.1"